What's better than enjoying some delicious Texas BBQ from Southside Market, dancing and listening to some live music, all while helping a good cause? Not much! So, if you enjoy BBQ, helping people, and having a good time, make plans to attend Feed the Need on Saturday, Oct. 25th from 6-9pm at the Bastrop Convention Center, located at 1408 Chestnut Street in downtown Bastrop. You can buy individual tickets to the event for $50 each or purchase a table for $300 (seats 8 people). Purchase tickets and sponsorships here. There will also be an exciting live auction and raffle drawing. 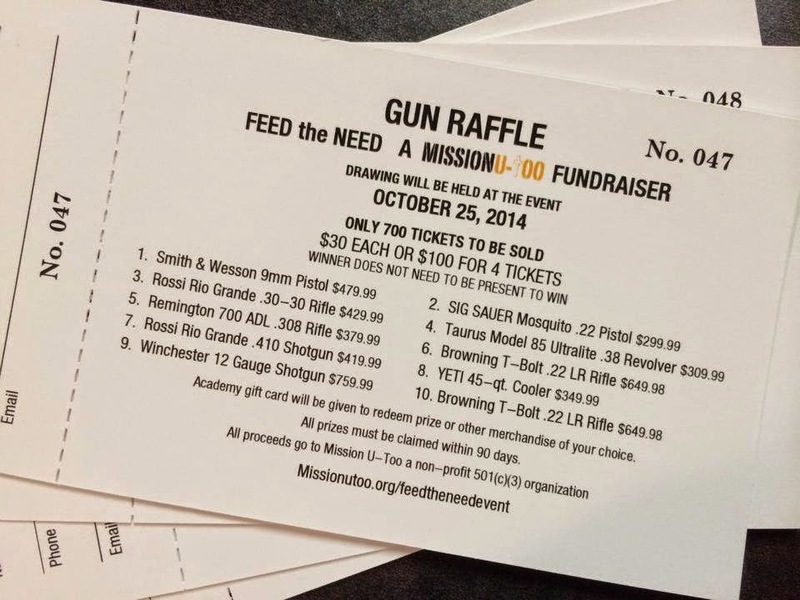 Raffle tickets are $30 each or $100 for 4 tickets. Wear your best western gear and come out to learn how you can make a difference in your community by helping Feed the Need! Mission U-Too is a Christian nonprofit organization with a focus on feeding the community both physically and spiritually. They currently have 7 locations in Central Texas where they serve weekly meals. They also respond in times of disaster across the country, ready to supply a hot cooked meal, a listening ear, prayer, and support to those who need assistance. For more information about Feed the Need or Mission U-Too, click here.